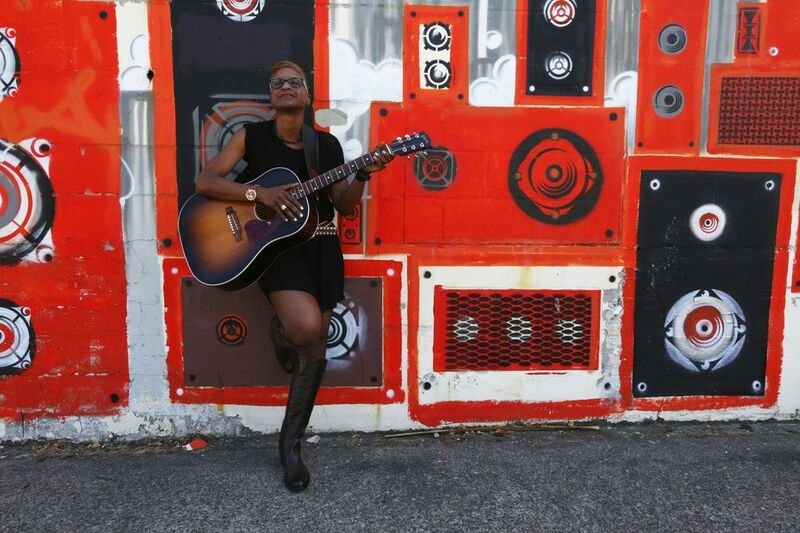 After a career that includes jumping from airplanes in the ROTC, working in the U.S. Attorney’s Office and reporting directly to Howard Schultz, Paula Boggs returns to her love of music. In 2005, Paula Boggs’ sister-in-law, Julie, was killed in a car accident. In her grief, Boggs picked up her guitar. It was like being reunited with an old friend. That feeling spurred her to successfully audition for a songwriting-certificate program at the University of Washington. Now, after decades after leaving her guitar for Army experience, law school and corporate life — including a stint as general counsel at Starbucks — Boggs has found her way it back to the musical kid she was, and released “Carnival of Miracles,” her second album of songs with the Paula Boggs Band. She has no shortage of things upon which to draw. The oldest of four kids, Boggs grew up in Virginia, where her mother, a teacher, made her take piano, which she dropped, then clarinet, which she lasted six months. Inspired by the nuns who taught her (and who played Peter, Paul and Mary on their guitars), Boggs got her mother to rent her a guitar. It stuck, and she later bought her own in a pawnshop. When she was 13, Boggs’ parents divorced, and she and her siblings moved to Europe with their mother, who was an educator in the Department of Defense system. She returned to the U.S. to attend Johns Hopkins University, and she spent a summer in Army Airborne School as an Army ROTC cadet — even though she was afraid of heights. She entered law school at the University of California, Berkeley, then worked at the Pentagon and the White House. A mentor suggested she apply to be an assistant U.S. attorney, which brought her to Seattle, a place she had visited during law school and yearned to see again. Once here, she joined a Catholic church and played some guitar in the folk Mass. She also met a woman named Randee Fox, who would become her partner. Not long after, Boggs left the church. She took a job at Dell in Texas, and in 2002 returned to Seattle to work as a general counsel at Starbucks, reporting directly to CEO Howard Schultz. Boggs left Starbucks in 2012, feeling like she had accomplished her goals there. Later that year, Boggs joined the Obama re-election campaign as a “surrogate” — one of about 500 people who went to events on behalf of the president. All of which makes you wonder if Boggs’ band is a vanity project, bought and paid for by the spoils of her corporate success. She was, after all, able to book studio time at the Bear Creek and London Bridge studios, hire producer Trina Shoemaker, who has worked with Brandi Carlile and Sheryl Crow; and sign backing musicians like former Santana drummer Michael Shrieve and bassist Andy Stoller, who played with Tracy Chapman. That’s true, Boggs said, but she prefers to see this as an investment in herself; in the “encore” period of a life spent meeting expectations — her own and others’. It’s her turn, now, and a time she senses a lot of people facing, wondering about, and struggling with. Her style pulls from all corners: jazz, rock, soul and blues. “I call it ‘soulgrass,’ ” she said, moving back and forth in her chair. And her songs pull from five decades of life experiences: love, death, social justice. A song named “Look Straight Ahead,” (which she mixed with Seattle rapper J. Pinder) was written from the perspective of a young, African-American urban male. She wrote the song before the shooting deaths of Trayvon Martin and Michael Brown — but it tells a similar story of a kid walking alone, trying to avoid getting into trouble. Another song, “Edith’s Coming Home,” has to do with Alzheimer’s disease and dementia. Boggs is on the board of the School of Rock here in Seattle, and co-chair of the capital-campaign governance board at KEXP, which is building a new home at Seattle Center. In between, she is writing and performing with her band. It’s a rush, it’s leadership, it’s some kind of church. Everything Paula Boggs’ life has been about. “Performing is an amazing communion between a performer and an audience,” she said. “It doesn’t matter if it’s an audience of one or an audience of 1,000. It’s still the same show.